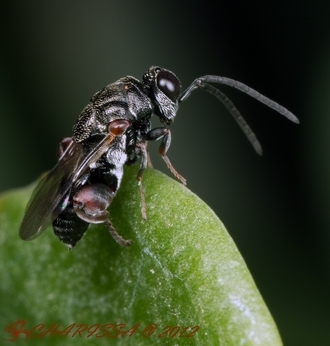 Biology Parasitoids of Lepidoptera and Diptera, less commonly other Hymenoptera or Coleoptera. Bouček, Z. 1974, On some Chalcididae and Pteromalidae (Hymenoptera), with descriptions of new genera and species from Africa and one species from Asia. Journal of the Entomological Society of Southern Africa 37(2): 327-330. Cameron, P. 1905, On the Hymenoptera of the Albany Museum. (Third paper) Record of the Albany Museum 1: 297-314. 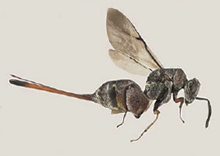 Cameron, P. 1907, Descriptions of species of parasitic Hymenoptera, chiefly in the collections of the South African Museum, Cape Town. (Second paper) Annals of the South African Museum 5: 203-225. Delvare, G. 2017. 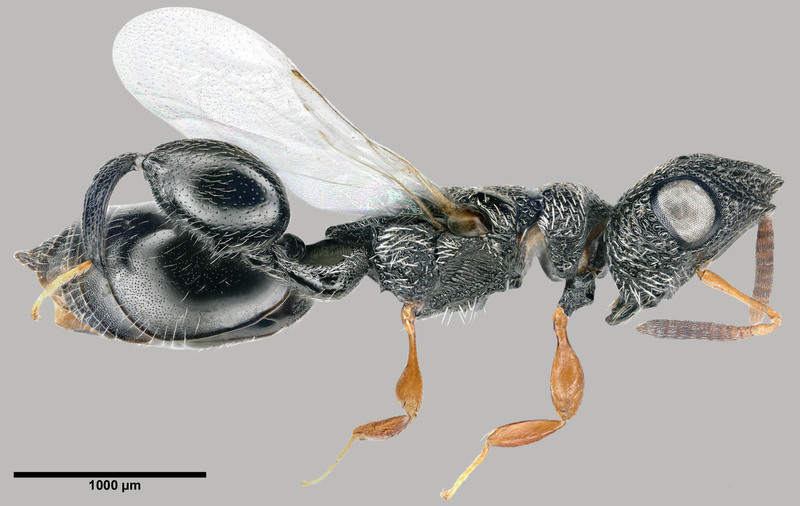 Order Hymenoptera, family Chalcididae. Arthropod fauna of the UAE 6: 229-232. Delvare G & Copeland, RS. 2018. 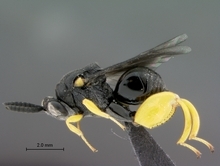 Four-horned wasps, description of some remarkable Dirhinus (Hymenoptera, Chalcididae) from Kenya, with a discussion of their taxonomic placement. Zootaxa 4374: 301–349. 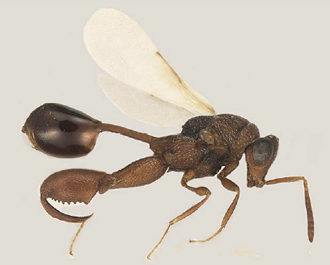 doi:http://dx.doi.org/10.11646/zootaxa.4374.3.1. University of Calicut, Department of Zoology, Zoological Monograph, 441 pp. Schmitz, G. 1946, Chalcididae de l'Afrique Central. Exploration du Parc National Albert, Mission G.F. de Witte 48: 54. Steffan, J.R.. 1951. Note sur les genres Xyphorachidia nov. et Rhynchochalcis Cameron (Hym. Chalcididae). Bulletin de la Société Entomologique de France 56: 34-39. Photographs © Simon van Noort (Iziko Museums of South Africa) or © Charissa de Lange (Pretoria) or © Gerard Delvare (Cirad-CBGP, Montferrier-sur-Lez Cedex France).